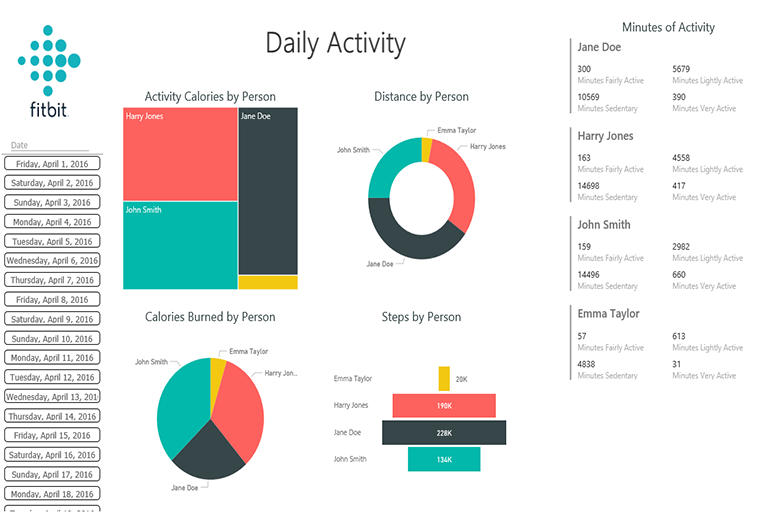 Demo using Power BI: Analysing colleagues fitness and health by observing patterns in their sleep, exercise and diet. 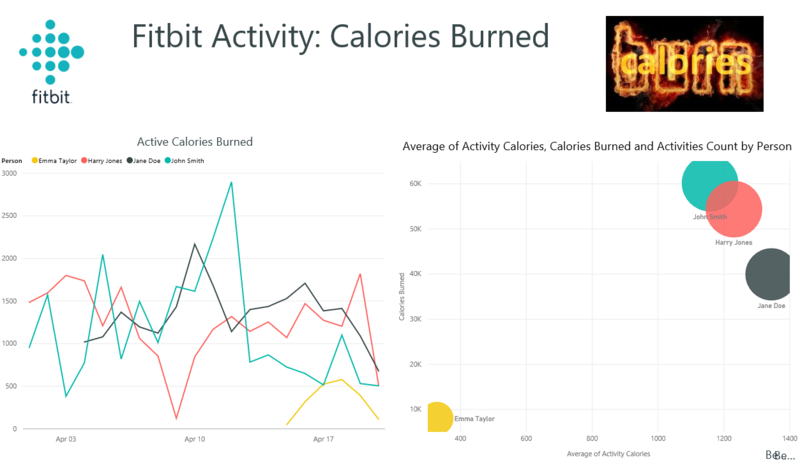 In this showcase we show how Cobweb have used Microsoft Power BI to analyze health and fitness performance within the teams. 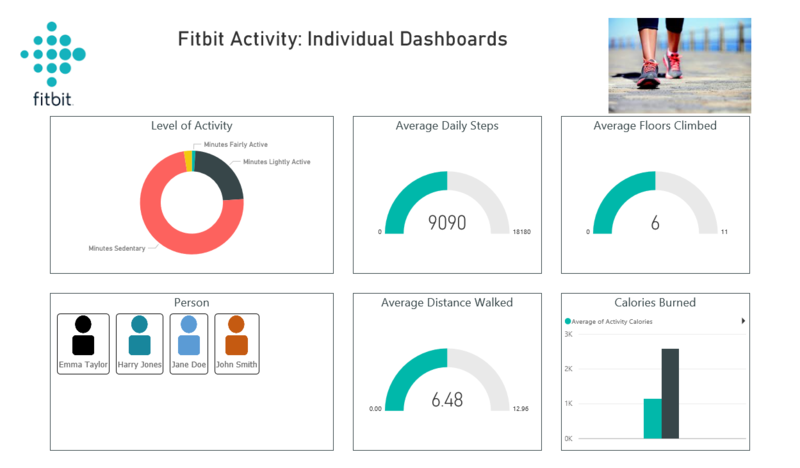 Given a set of sample data from Fitbit devices, we observe trends in calorie intake, sleep and walking alongside an individual activity report and a comparative analysis report. Analyzing key parts of our data would have been a struggle without Power BI. For example, people had started using their Fitbits at different times and could be perceived to be progressing more than others. Power BI solved this issue with the averages visualization, pointing out that one of the members of the team had made progress even though she had started much later on. The data could also be accessed via the cloud and on mobile devices, making tracking and targets easy to follow. The team now access the latest trends through a joint dashboard, using BI’s reactive responses to implement in their proactive decision making, all based on real time data. The reports allow us to assess the stats in a much more detailed and granular way whilst also offering several datasets on the team’s fitness statistics as accessible and interactive visualizations. Over time, we can use Power Bi to closely track the team’s performance and use the data as a strong foundation for future improvement.